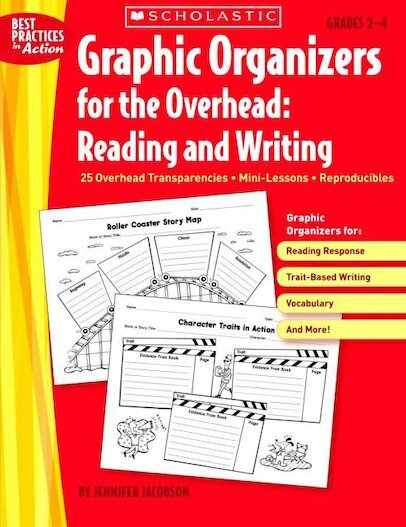 Designed for flexible use, these 25 graphic organizers for the overhead boost key literacy skills, and include transparencies, mini-lessons and photocopiables. Start by using the transparency for a whole-group lesson; then provide students with the reproducible version for independent use. Great for trait-based writing, responding to fiction and non-fiction, making connections to text, building vocabulary and more.